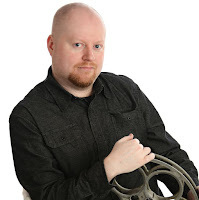 The recent influence of music videos in movies is slowly proving to be a nuisance to filmmakers looking to establish a distinctive style, but with “The Watcher,” its impact is so heavy that the film practically shoots off the scales and heads straight for overkill. What’s most sad is that the movie starts to tell an interesting story, but is then caught behind a shade of blotchy imagery and indistinctive camerawork too often to ever develop any sense of realism or excitement. By the time the fractious style actually lets up, it’s too late to save anything, for the plot has lost its desire and decides that a retread through serial killer formulas and off-the-wall logic is better than nothing. Unfortunately, a blank screen could have excited us better. “The Watcher,” even with all of its attempts, is so badly constructed and realized that it’s hard to even give the movie a sincere compliment, other than that it doesn’t spend as much time wallowing in the clichés and stupidity as it might have (the movie is, after all, only 96 minutes in length). Even dumb movie thrillers I can handle, just as long as they give us something interesting to stare at somewhere along the lines (now that I think about it, that’s the real reason I initially recommended “Stigmata” last year). This is one of those endeavors where the director is more interested in texture than interiors, only he has failed to realize that even certain styles can be drastically overworked. The story plays out like an idiot version of cat-and-mouse; the police are right at the heels of the murderer, but can’t get a stable case off the ground because important details have either been overlooked or, for some implausible reason, simply forgotten. At the center of this investigation is detective Joel Campbell (James Spader), an emotionally unstable individual who flees the case in Los Angeles and moves to Chicago, worn out from the seemingly wild chase the killer has sent his department on. A defunct persona in society, Campbell is now taking migraine medication (in some of the oddest ways, too) and has a psychiatrist (Marisa Tomei) to whom he relays all of his fears and complaints. The killer Griffin, a normal-looking individual who woes his victims, sneaks into their apartments and then strangles them with piano wire, is played here by Keanu Reeves. That’s an immediate mistake. Reeves lacks the essence of a twisted persona, essentially because he has made a career out of big action pictures and has not really learned how to handle this departure successfully. Such a role is usually one of the reasons why serial killer flicks are so irresistible, but when the actor cannot connect with his identity, the effect is transparent. We never even get the sense that Griffin understands what he is exactly doing here; it’s as if he is simply strangling his victims with piano wire because he couldn’t think of anything else. If that isn’t bad enough, the movie doesn’t even have the guts to give its other characters the right treatment, either. Spader’s Campbell is a walking cliché of every movie detective that has preceded him, working hard to nail down his catch but forgetting to take the necessary steps until the moment after it’s too late (the photograph of the next victim, for instance, could be used in media to alert the woman beforehand instead of held back as evidence of another eventual statistic). Marisa Tomei, who is a highly talented actress, has very little screen time here to live out any real potential, eventually falling victim to the “damsel in distress” syndrome when Griffin realizes her link with Campbell. All of this, needless to say, leads up to a predictably contrived conclusion, and by the time the film is over, we have gawked at nearly every single detail in utter disbelief. 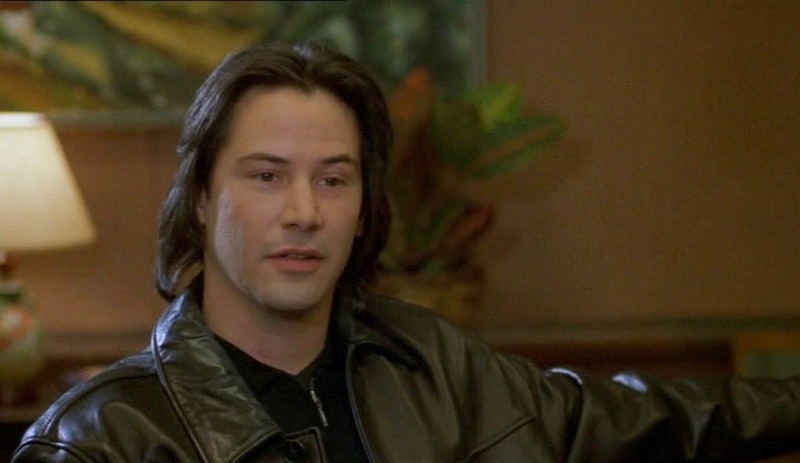 If you’re one of the individuals who is attracted to the picture simply because it features a performance from good ol’ Keanu, the advice is quite clear: wait for the “Matrix” sequels.